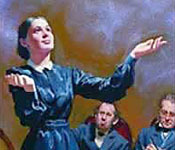 Among the criticisms against Ellen White, critics claim that there are a number of "myths" that have been accepted as fact by many people. We have chosen to address three of these so-called myths for you to analyze for yourself. "Ellen White Wrote Steps to Christ"
This charge comes to us from Dirk Anderson's and Robert Sanders' web sites. It utilizes one of the most common accusations out there, namely, that Ellen White plagiarized her material from other writers. See if you think there's a case to be made on this one. The most likely author of the book is Fannie Bolton. 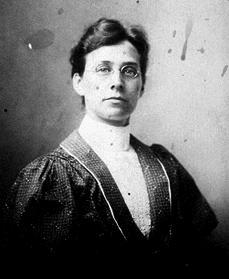 Ms. Bolton joined Ellen White's staff in 1888, and Steps to Christ was published in 1892. Later, Ms. Bolton would claim that she wrote the book and Mrs. White took the manuscript and published it under her name . . . .
Part of the material used in Steps to Christ came from Mrs. White's previously published writings (for example, paragraph 1, p. 12 from RH 12/16/1884; paragraph 1, 2, p. 15 from 4T 563, 46; the chapter on "Confession" from ST 3/16/1888 and 5T 635-641; page 83 from 3T 246, 247; pages 121-123 from RH 2/3/1885). Parts of the book were plagiarized from other Christian authors. Following is one example taken from the book, White Lie: . . . .
We now know that "Steps to Christ" was plagiarized from uninspired authors by Ellen's assistants? [sic.] This was Fannie's habit in writing for Ellen. . . . Here are examples of plagiarism from "The White Lie," by Walter Rae [sic. ], pp. 378,379, 388. . . . If we take counsel with our doubts and fears, or try to solve everything that we cannot see clearly, before we have faith, perplexities will only increase and deepen�But if we come to God�and in humble, trusting faith make known our wants to Him�who governs everything with his will and His word, He can and will attend our cry, and will let light shine into our hearts. Through sincere prayer we are brought into connection with the mind of the Infinite. We may have no remarkable evidence at the time that the face of our Redeemer is bending over us in compassion and love, but this is even so. We may not feel His visible touch, but His hand is upon us in love and pitying tenderness. In every act of sincere prayer the soul comes into living contact with the infinite Mind. We see no face vending [sic.] over us with looks of compassion. No voice answers to our humble cry. No hand is let down for us to grasp�as the child seeks the parents supporting hand. This selection from pages 96 and 97 of Steps to Christ is taken from Testimonies for the Church, vol. 3, page 323, which in turn is taken from a personal letter written by Mrs. White in 1873 to a young minister and his wife (The Progressive Years, p. 388). (See comparison between Testimonies and Steps to Christ here.) Thus, this first selection was written 15 years before Fannie Bolton began working for Mrs. White. But to claim that prayer will always be answered in the very way and for the particular thing that we desire is presumption. Another requisite of prevailing prayer is faith. "He that cometh unto God, must believe that he is, and that he is a rewarder of those who diligently seek him." Heb. 11:6�You are not to expect it to come in a particular way, nor necessarily at just such a time. The portion in red is similar only in thought, not in word, to Underwood. Because of this, and because the two Signs articles were published two years apart, the similarity in thought between the red portions of Underwood and Ellen White is merely coincidental. Intentionally or not, either Walter Rea or his researcher made Underwood's quote more like Steps to Christ than it really is. In the original, there are no quotation marks or reference for Hebrews 11:6. Indeed, there shouldn't be any quotation marks, for Underwood paraphrased the verse slightly. Of course the question remains, was there plagiarism, even if Fannie Bolton wasn't involved? The answer to that question depends upon how you define plagiarism, and whether you define it according to present-day standards or 1892 standards. For example, in some circles today, if only ideas and not words are borrowed, there is no plagiarism. In other circles, the borrowing of ideas alone may constitute plagiarism. In some circles today, one may copy freely from oneself and not be a plagiarist. In other circles, copying from one's own writings is definitely plagiarism, and can result in rather stern penalties. Thus, if Mrs. White had published Steps to Christ as an article in one of today's scientific journals, she would have been condemned by her peers as a plagiarist, not because some wording appears similar to March and Underwood, but because she freely copied from her earlier writings without using quotation marks and without giving any credit to herself whatsoever. As absurd as that may sound, it's the truth. On the other hand, 6 words and a Bible verse out of a paragraph of 502 words from Underwood are found in Steps to Christ, and 37 words out of 6 paragraphs totalling 1126 words from March can be found in Steps to Christ. (See the original quotations of all three authors, without any ellipses, here.) The latter 37 words first appeared two decades prior to the publishing of Steps to Christ in a personal letter of encouragement to a young minister and his wife. Thus, if borrowing 6 words out of 502 constituted plagiarism in 1884, then Ellen White was indeed a plagiarist, if we assume that she really did borrow those 6 words. (Given the fact that any two writers writing on the same subject are going to use some of the same words, it would indeed be an assumption that Ellen White was copying those 6 words from Underwood.) Or, if intentionally or unintentionally borrowing 37 words out of 1126 when writing a personal letter constituted plagiarism in 1873, then Ellen White was guilty of plagiarism. Dealing with the big "if" of what was plagiarism and what wasn't in the nineteenth century goes beyond the scope of this web page. To read up on copyright laws of that era, see "Plagiarism Defined." Yet after our discovery that the portions allegedly plagiarized actually came from Mrs. White's own writings, we are puzzled to know exactly what portions Fannie supposedly wrote herself. Sister White . . . is responsible for every thought, for every expression, in her writings. Every manuscript that is edited goes back to her for examination, . . . .
Now as far as changing Sister White's expressions are concerned, I can say that just as far as it is consistent with grammar and rhetoric, her expressions are left intact.—DF 445b, Fannie Bolton to Miss Malcolm, Nov. 11, 1894. . . . The editors in no wise change Sister White's expression if it is grammatically correct, and is an evident expression of the evident thought. Sister White, as human instrumentality, has a pronounced style of her own, which is preserved all through her books and articles, that stamps the matter with her individuality. Many times her manuscript does not need any editing, often but slight editing, and again, a great deal of literary work; but article or chapter, whatever has been done upon it, is passed back into her hands by the editor, and the Spirit of Prophecy then appropriates the matter, and it becomes, when approved, the chosen expression of the Spirit of God.—DF 445a, "A Confession Concerning the Testimony of Jesus Christ," written in early 1901 to "Dear Brethren in the Truth." That Fannie Bolton may have elsewhere contradicted her own testimony lends nothing to her credibility as a witness, especially if no one can discover which portions of Steps to Christ she actually wrote. Fannie Bolton had nothing to do with any alleged plagiarism in the writing of pages 96 and 97 of Steps to Christ, since the material was already written and published by Ellen White before Fannie joined Mrs. White's staff. That is, unless we say that Fannie assisted in plagiarizing from Mrs. White's own writings. Using the extreme standards of some of today's academic and professional circles, since Mrs. White never put quotation marks around or gave references for her previously published material, she indeed plagiarized most of Steps to Christ. In our (non-legal) opinion, Mrs. White would have had no legal grounds for suing herself for plagiarism in 1892. We can trace the page on Dirk Anderson's site back to 2000, and the page on Robert Sanders' site back to 1999. Since Ellen White's writings came out on CD a decade earlier around 1990, it would have been a simple matter to discover that when Fannie Bolton came along Ellen White had already written the material in question. Additionally, they would have discovered that "But to claim that prayer will always be answered . . ." was not taken from Underwood. While Dirk and Robert did give credit to Walter Rea for the material they got from him, it would have been best if they had verified his findings before making public these accusations. We therefore strongly recommend that critics of Mrs. White do their own independent research, rather than merely copying from one another. Did Fannie Bolton plagiarize when working on Steps to Christ? She most certainly did. She plagiarized from a lady named Ellen White. Can't copy from yourself when writing a book about Jesus without being accused of plagiarism? What is this world coming to! My gut feeling is that nothing wrong was done in this matter. I need to do some research about the meaning of plagiarism in the nineteenth century.